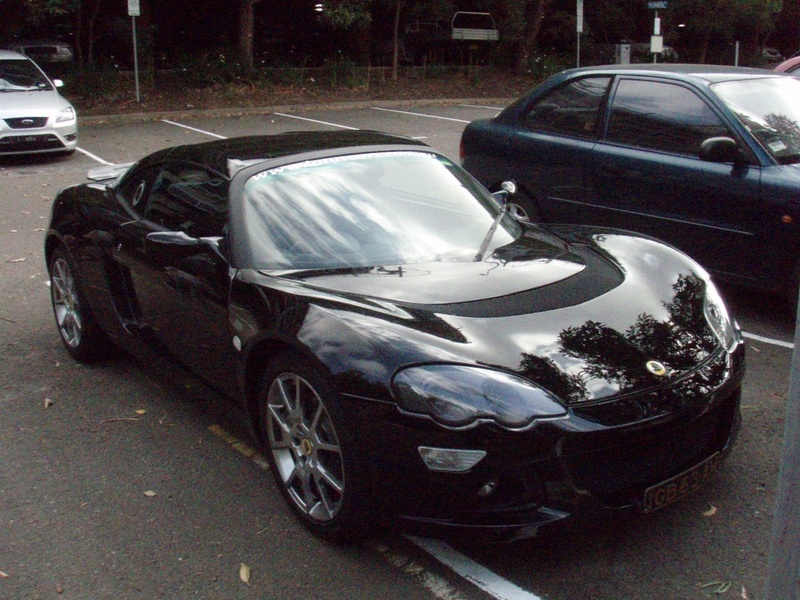 Well as promised on an email to me a couple of days ago from Lotus Cars Australia/Rick Damelian’s, Jayson turned up at my work yesterday for a drive of the brand new and only Lotus Europa in the country the very same Phantom Black one that was the star of Australian International motor show 2007. I’ve posted some photos down below and to get the only real negative point I have of the car out the way, I still donâ€™t like the rear styling of the car but thatâ€™s just my opinion of course. Driving the thing, well we went for a 30 minute drive all around the back streets of the South East end of the city, Kensington, Randwick over to Coogee beach zipping around some of the quieter streets in that area. I have to say it felt very much simular to the Elise/Exige to drive, I felt like the car was slighter bigger overall in width and length (even though Jayson said the width is the same I seem to remember) but handling felt 99% simular I have to say. 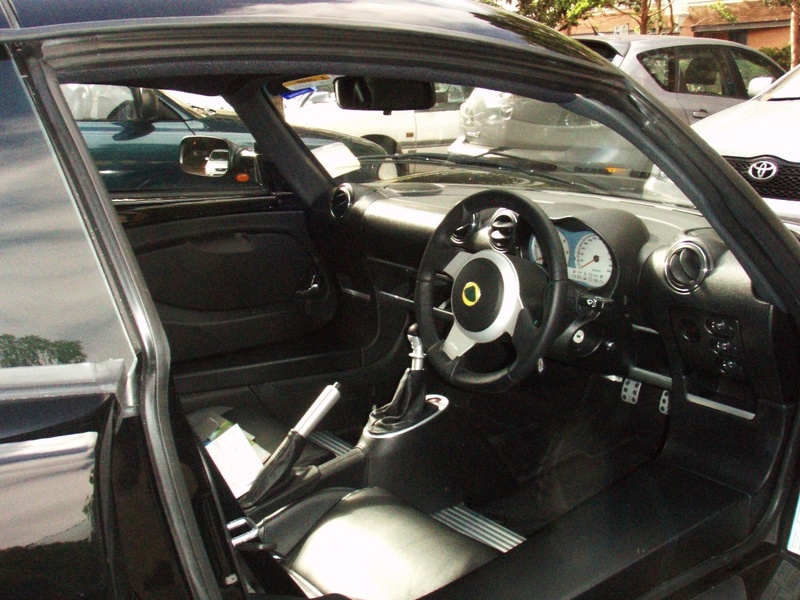 The same great feedback from the steering you’d come to love and expect from a Lotus and the overall feeling of being connected with the road really well from the feelings coming through the seat and steering were all still there. The suspension is slighter softer than the Elsie/Exige but to a non Lotus driver it would feel the same Iâ€™d imagine. The exciting part in this car for me the engine. 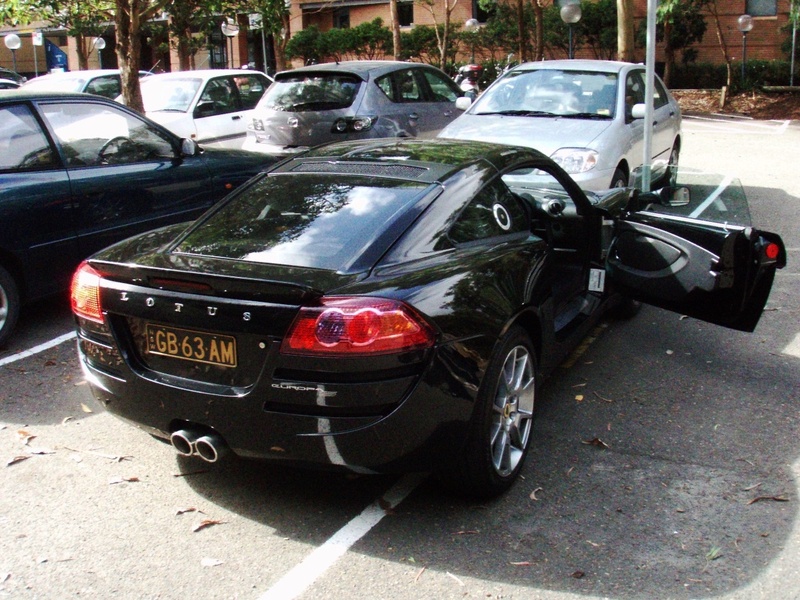 The GM sourced 2 litre turbo engine was a beauty to drive. Up shifts were particularly fun at red line with the turbo still spooled up and a shove of torque in the back as the next gear engaged. All along above 3000rpm you can hear the slight whistle of the turbo spooling around your ears but not to the level where it would be annoying and quieter than the whine of the Exige S’s supercharger for definite. Looking through the rear window into Tupperware heaven (sorry the engine bay) whilst Jayson took the helm, I enjoyed seeing the engine twist and turn on its supports as it was being revved hard and up shifted. Would I get one, probably not as on a driving fun level it feels about the same as the Elise R/Exige abet a half second slower on the 0-100kph times but nothing too noticeable but really for me the look of the car is not as in tune with my tastes as the Elise and Exige are. I think Iâ€™ll be staying a happy Elise R customer for a while. Not to worry Jayson and Rick Dâ€™s as Jayson was proud to boast they have sold 4 Europaâ€™s in just the first 2 days of sales! So there you go the Lotus big brother is being accepted into some peoples wallets and hearts and itâ€™s only just come off the boat from Hethnel in England, good on you Lotus. P.S Many thanks to Jayson for popping over to see me with the car and giving me a chance to experience it first hand, cheers. P.S Yes It’s sad, it was Che’s idea to to slap on some shorts and thongs and run down to the premeier on George St. I hope people like this, it was a bit of a experiment and was an idea that come into my head after watching the IMAX documentery ‘Chronos’ one evening which shows incredable stop motion form around the world. If theres positive feedback i’ll go to work on doing some better quality ones of the city using a better quality camera setup. The photos were taken every minute for 24 hours from 12 midnight to 12 midnight which made up a total of 1700 odd photos!